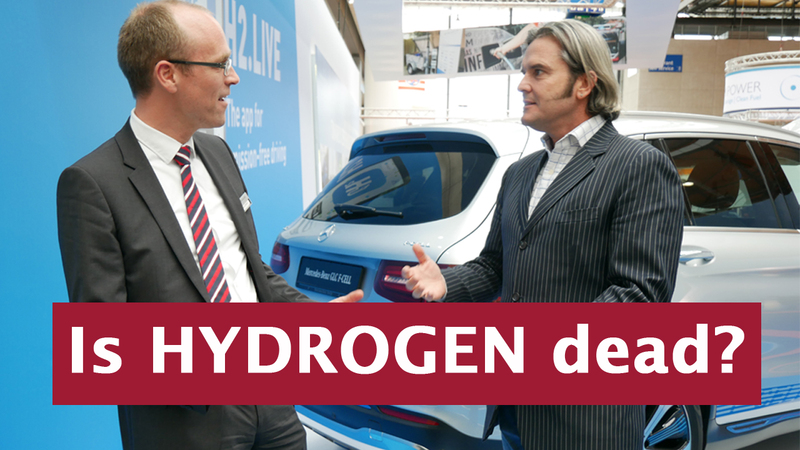 Recently, the famous German newspaper “Sueddeutsche” had a headline saying “Fuel cells are a waste of billions for automakers”. I don’t know if that is the perfect translation, but you get the message. They quoted the heads of development of Daimler, BMW and Audi. Good sources, one should think. Those guys know what the future will be like. That article was rubbish. Of course, one thing is true: the investments in battery factories are much, much bigger than those in hydrogen. Yes. Correct. But is everything else a “waste of billions”? Let’s start with the logic: if something is a “waste of billions”, then one must have invested billions before, right? So, did BMW invest more than a billion into fuel cells? Never ever. Of course, I don’t know the numbers in detail, but that was never ever a billion. Daimler is different. They have been working on that topic for more than 20 years and invested massive sums. I have no idea why they are backing down now. I know it sounds reasonable to ask the heads of development of the three largest automakers in Germany about the future. But do you remember the heads of development of Nokia, Sony-Ericsson or Palm? Nobody does. I think they gave similar interviews on the future of smartphones, apps and touchscreens some 15 years ago. Now they live in Siberia in wooden huts far away from civilization (at least that’s what I would imagine… 😉 ). Let’s take another example: Nikola Motor, a truck manufacturer from Salt Lake City, USA, develops fuel cell trucks (www.nicolamotor.com). Last Thursday, they have received an order from Anheuser-Busch for 800 trucks. Worth: 720 million dollars. They have an order book of 8 billion dollars. For fuel cell trucks! EIGHT BILLION DOLLARS!